I absolutely loved the Philippines it is a spectacular place with some of the best scenery and beaches in the world. We spent 5 weeks in the Philippines and a lot of the food you get can be described best as ‘fast food’. It can actually quite hard to find traditional Filipino food which is a shame as we found some great Filipino dishes. Following a low FODMAP diet in the Philippines is certainly possible but very limiting. This is why it is so important to complete the low FODMAP diet by reintroducing FODMAPs to personal tolerance. Then you have the luxury of following a modified low FODMAP diet in the long term meaning you can eat high FODMAP foods without experiencing symptoms. Arriving in Manila the first thing that struck us about the food was how Western is has become with lots of fast food available. Traditional Filipino food definitely takes second place in the bigger towns and cities. 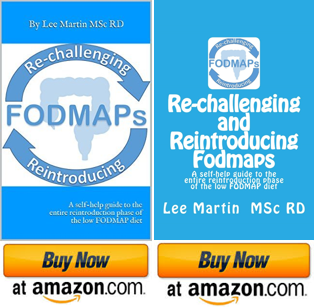 This actually makes it a bit easier to get in the swing of following a low FODMAP diet as you may recognise the food options. As we moved onto the stunning island of Boracay and around the Philippines we gained confidence and soon started trying different Filipino dishes. For carbohydrates choices with meals there are loads of rice dishes available (obviously). We made one mistake where we had the Filipino breakfast which came with rice but the rice had so much garlic it was almost inedible for us. We then found out this is what makes it a Filipino breakfast rice and its called Sinangag! Thankfully other rice dishes did not contain garlic and ‘Java Rice’ was our favourite and came with tomatoes carrots and some green spring onion tops used as decoration and for added flavour. There is also the option of rice noodles either stir fried vegetables or meat. These dishes didn’t have any garlic but had some onion which you could pick out and most of the time the vegetables where low FODMAP. Potatoes cooked in all different ways were also available with all types of meals even breakfast. There were plenty of suitable low FODMAP vegetable choices. The main vegetables we choose included aubergines, carrots, spinach, bok choy, baby sweetcorn the green part of spring onions and cabbage along with a white vegetable like a potato but sweeter. Completely unknown if this was a low FODMAP vegetable or not but didn’t cause us any problems. When you looked at the vegetable market stalls there were always plenty of low FODMAP vegetables available. You could have these vegetables simply fried in butter or in a sauce such as oyster sauce. What soon became our favourite vegetable dish in the Philippines was their Eggplant salad (Ensaladang Talong). This consists of barbecued aubergine flesh with diced tomato and onion in soy sauce and sesame oil. There is only some onion so easily removed. Amazingly everywhere did the same style vegetable curry which didn’t contain any garlic or onion! It was mainly potato, carrots, green beans and cabbage served in a light coconut milk and was very mild in curry flavour. This was a revelation for us and we ordered the vegetable curry with rice in several restaurants. The main low FODMAP fruits you could have were banana, pineapple, rambutan, durian (not for me thanks! ), grapes and papaya. The pineapple and papaya were particular sweet and so juicy even from the supermarkets. The rest of the time we had these fruits in smoothies. For snacks we tended to go for the smoothies and these are made with 1/2 a piece of fruit e.g. banana or one slice of pineapple, 2 tbsp evaporated or normal milk, 2 tsp cream from a carton (coconut was a good option), 2 tbsp sugar syrup and 3x volume of crushed ice. Refreshing, tasty and it filled you up. Unless you got the meats and fish cooked on a griddle they usually came in a sauce which had garlic in it or garlic was added to the meat soups. Often the dips that came with the meats or fish included garlic as well. However there was also the option to create your own dressing. You get given a bowel with a chilli and lime which you can cut up and squeeze and you can use the vinegar and soy sauce on the table to make a dressing that suits your palate. Some of the restaurants had garlic infused oil on the table and most of the time the chilli sauces on the tables were low FODMAP. Omelettes became a main part of our cuisine for the first week either at breakfast or at lunch. Everywhere sold omelettes with all different types of fillings. We loved the way they made the omelettes too. Basically they fried the filling ingredients in butter and salt (always a good start ;)) and cooked the omelette separately then added the fillings to the centre of the omelette and folded in the sides. My favourite was a ‘Mexican’ Omelette which was loads of chillies plus some normal peppers in the omelette. The places we went to would basically cook the omelette how you wanted anyway so it was easy to avoid high FODMAP foods. Mexican Omelette from Coco Loco with spinach, pepper and lots of chillies! Here are some of our favourite meals and places to eat low FODMAP on the different islands in the Philippines. PHP = Philippine Peso and are about 70 to the £1. Breakfast – Omelettes from ‘Coco Loco’s’ (150PHP) or the ‘Farmers’ breakfast from ‘Orchids’ our accommodation. For a treat visit the ‘Sunny Side Cafe’. Or for more Western style get some amazing Fish and chips (remove the batter from the traditional English version, don’t worry you still get plenty of fish!) from ‘Tilapia n Chips’. Lovely cooked John Dory and chips with lettuce tomato and cucumber salad. Or if you are brave (like me) get the Filipino version using Tilapia. Tilapia n Chips: Tasted great…looks pretty dangerous! Breakfast / Brunch- ‘Tip Top’ restaurant, for classic British fry up but ask for rice or potatoes instead of toast. It’s hard to get good bacon in the Philippines so take advantage here! You can also get Rösti with fried eggs if can handle some onion. All breakfasts 195PHP including coffee and juice. Dinner – ‘Bier Garten’ for the best BBQ and grilled chicken or pork with potatoes or rice for 120 PHP.. Its run by Germans so you know the sausage will be good! Vegetable kebabs are also available from the grill menu as is amazing corn on the cob. Trust me there will come a point in the Philippines when you will eat fast food! This doesn’t have to be a bad thing and to be honest they are some of the few places you are guaranteed an air conditioned restaurant. This makes a big difference when minimum temperatures even at night can be in the thirties (that’s degrees centigrade). Look out for ‘Inasal’ a restaurant that does grilled chicken and rice for 80PHP. Dunkin Donuts are everywhere and they do a decent coffee for 70PHP. Finally if you are really desperate ‘Potato Corner’ will get you out of trouble with some tasty fries for 60PHP. You can’t go wrong with chips (sometimes)! Good old British M&S in Cebu City! Next time I will post our favourite traditional Filipino meals with a little adjustment here and there to make them low FODMAP.